Just like the original Civil War story, Captain America: Civil War will pit Steve Rogers against Tony Stark, a.k.a. Iron Man, during the conflict over superhuman registration. There have been rumors about who will comprise the pro and anti-registration teams, but at the very least we can expect to see a fight between the Star Spangled Avenger and his armored former teammate. Now it’s being reported that Cap may get some assistance from his oldest friend in this big rumble. 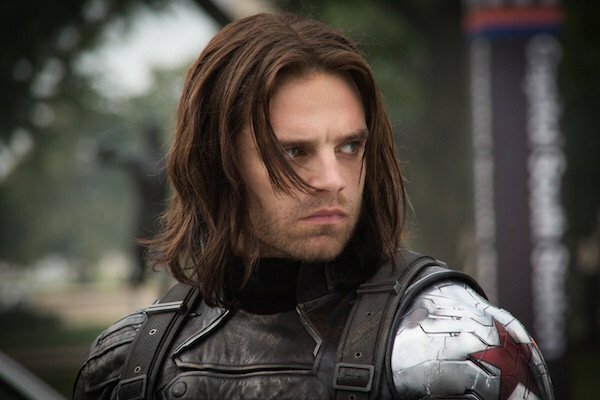 Heroic Hollywood has heard that Captain America will be teaming up with Bucky Barnes, a.k.a. The Winter Soldier, to take on Iron Man in Captain America: Civil War. While it may seem like Steve and Bucky have the advantage in this bout (given that the former is a super solider and the latter has the cybernetic arm) the article speculates that Tony’s Mark 46 armor, reportedly the Bleeding Edge suit, may actually give the billionaire philanthropist a leg up. In the comics, the Bleeding Edge armor is capable of healing itself, boosts Tony’s intelligence, and increases his strength tremendously. While there’s no guarantee that the armor will have the same capabilities in the MCU, this fight (if it’s actually happening) does sound like it will be intense. There is already a leaked set picture of Bucky and Falcon working with each other in the film, but the prospect of Captain America and Bucky teaming up for a fight is exciting, though slightly odd. In Captain America: The Winter Soldier, Bucky overcame his HYDRA brainwashing and saved Cap’s life in the explosive finale. However, it was obvious he wasn’t his old self, and when Cap and Falcon found him in the Ant-Man post-credits scene, he was still acting weird while his cybernetic arm was trapped in a hydraulic press. Presumably Bucky’s head will clear up sometime during the movie. Still, it was expected that the two buddies would eventually be back on good terms, especially considering that it’s been reported that Bucky will be on Cap’s side during the conflict. A part of me wonders if Bucky will aid Cap after seeing that his friend can’t defeat Iron Man on his own. There have also been rumors of Tony finding out that the brainwashed Bucky was responsible for his parents’ death, so that would certainly be enough incentive for bad blood with Cap’s friend. Although he didn’t participate directly in the 2006 Civil War story, Bucky did blame Tony for Steve’s assassination after the conflict and planned to kill him. It was only after Tony revealed Steve had named Bucky as his successor that Bucky backed off. However, he only took the Captain America mantle after Tony (who at that point was head of S.H.I.E.L.D.) agreed to let him operate without government jurisdiction, unlike the other registered superheroes at the time. We’ll see Cap, Iron Man, Bucky, and nearly every major Marvel movie hero in action when Captain America: Civil War hits theaters on May 6, 2016.